There are a lot of steps, but this is quite easy to do, so hang in there. First, have your email address forwarded to your Gmail address. 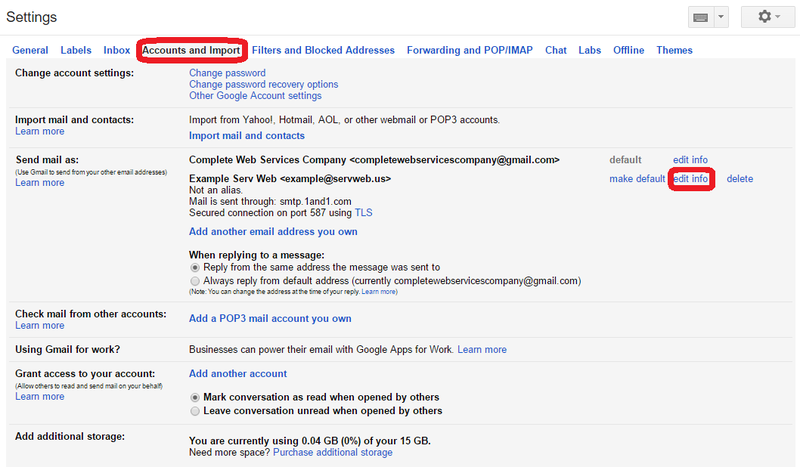 To set up forwarding you must be in your forwarding email's forwarding settings. Some email services require you to have your provider set up forwarding. Once you click sign in, the screen will change to image in step three. and password. Gmail will open. The Menu Box opens, then Select and click 'settings'. Screen changes to setting screen, then select 'Accounts and Imports' and under that next to the right of the email whose settings you want to change select 'edit info'. A pop up screen comes up, then you will see the name and email address you are changing settings for, and make sure 'Treat as an alias' is unchecked, then click 'Next Step'. The window changes to this screen, then add the SMTP Server Address (provided by your email provider), user name (usually your full email) and email password. Then click 'Add Account'. The window changes to the screen below. An email will be sent to the email address you are adding. Log into the email provider of the email address you are adding and click the link it gives you to authorize your Gmail to use it in Gmail. Then come back to this popup box and click verify (you might have to enter the code sent to you in the email of the email address you are adding in the slot next to the 'verify' button). This pop up box closes. 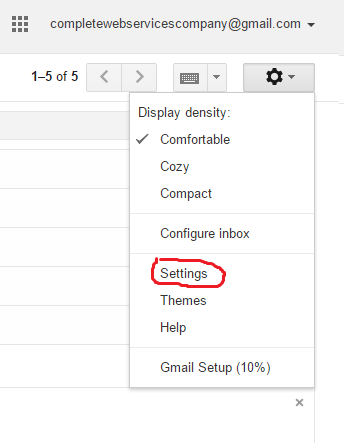 Then go back to the Gmail Settings Screen (shown below) and in 'Accounts and Imports' under the 'Send mail as' Section where it says 'When replying to a message:' select 'Reply from the same address the message was sent to'. If you want the email address you are added to Gmail to be the default email when you compose outgoing email, then go to 'Accounts and Imports' (Same screen as above). Then to the right of the email you added to Gmail click 'make default'.